Bring out your jackets tonight. It’s going to be chilly. A wind advisory is issued for tonight. 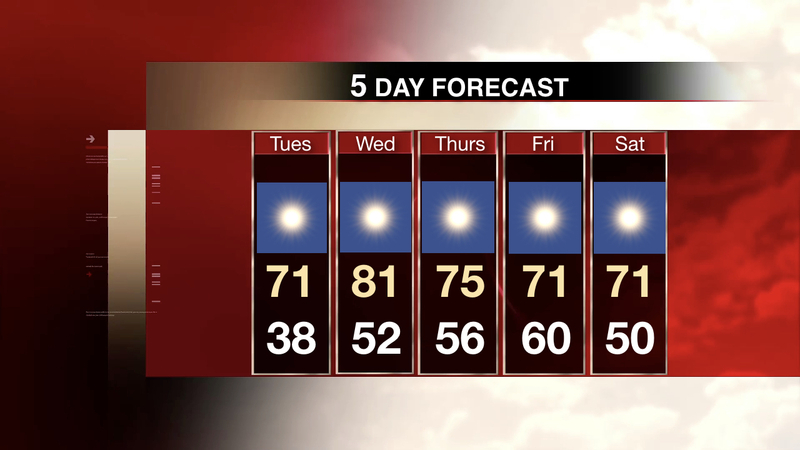 Later this week, the tempertaures will rise between the 70’s and 80’s the rest of the week. Check out our weather anchor Michael Pope with more weather at 5 p.m.